"March comes in like a lion and goes out like a lamb." Taken from an English proverb describes typical March weather give or take a few El Nino/El Nina seasons. This spring Calistoga and the Napa Valley are ready to show all that is wonderful about our valley. 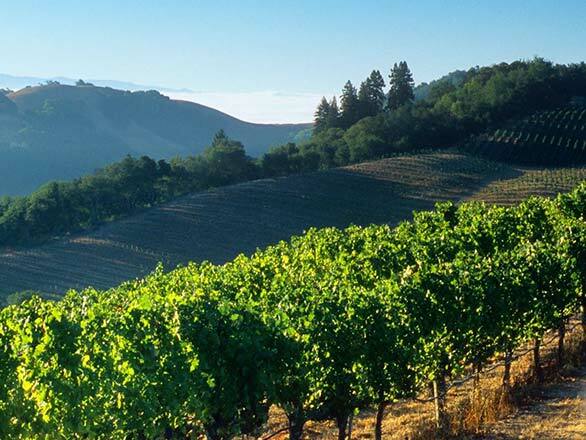 The Napa Valley Marathon kicks off the month with one of the most scenic runs you can find anywhere. Beginning in Calistoga at the crest of Silverado Trail the course takes your through rolling vista and vineyards finishing in the City of Napa. March give way to April which leads us to Napa Valley Arts In April 2018. The lobby of Calistoga Spa Hot Springs is transformed into an art gallery featuring local Wine Country artists and photographic works presented by members of the Calistoga Camera Club. The club is an assemblage of amateur and professional photographers showing some of their favorite work. More about Napa Valley Arts in April in our next blog post. Between the Napa Valley Marathon and Arts in April lies Mustard Season. The early winter rains provide just the right amount of moisture and the Napa Valley sun takes it from there. The mustard is a ‘cover crop" a technique the vineyard managers use to naturally control erosion during the rainy season and the tilling the crop into the soil providing a nitrogen boost to the vines as bud break begins. While the weather is favorable and the traffic light why not rent a bike at Calistoga Bike Shop. Brad Suhr and his team will set you up with the right equipment a curate a route for you whether you are looking for a competition level ride or a fun pedal through the vineyards and into a tasting room like Joseph Cellars that rests upon a knoll along Diamond Mountain and features a wine cave and beautiful vistas of the upper valley. No visit to the Napa Valley is complete without a sunrise flight narrated by your pilot and then finish with a wonderful breakfast with Calistoga Balloons.